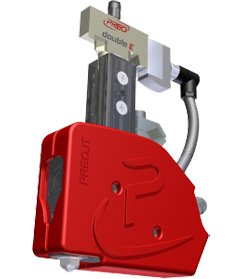 Protek’s Hot-Melt Guns Series Double E, with isolation cover integrated, is available in a wide range of models, suitable for a variety of industrial sectors. 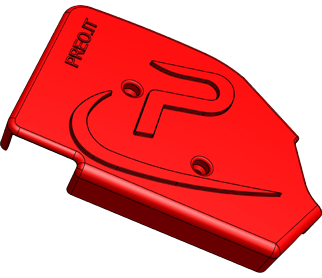 Designed for the distribution of thermoplastic adhesive with high and medium viscosity, the guns incorporate one or more modules configuration, different centre distances and nozzles with one or more solenoid valves for tasks that require low energy consumption, high-speed application, small size and weight. The main characteristics of the Double E Series are: compact design and reduced dimension for installations in narrow spaces, modular elements, speeds of up to 8.000 cycles/minute, high reliability with a service life of more than 50 million cycles, module double effect AMX-45 AOAC (with double interchangeable cartridge), zero-cavity self-cleaning nozzle, isolation cover in hard plastic and non-stick Ergal (aluminium) protective casing with integrated glue filter removable without stripping the hose. All guns are equipped with a new AMX-45 AO/AC series module that ensures precise and regulated glue application. This level of performance is possible only because of the special attention dedicated during the design and construction phases. 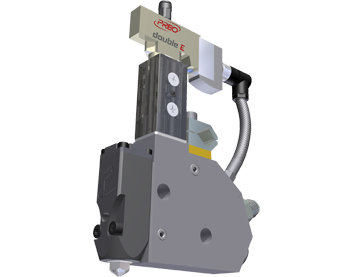 Double E guns are supplied with PREO’s zero-cavity self-cleaning nozzles made of stainless steel, available with a minimum diameter of 0.25mm up to a maximum of 1.2mm. 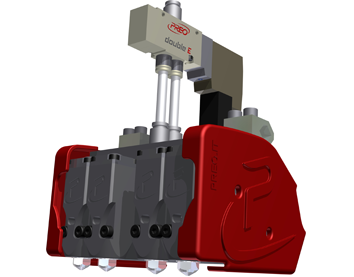 zero-cavity is a term for cutting off and directly closing the nozzle hole, eliminating any possible impurities and guaranteeing the constant cleanliness of the nozzle. A glue filter guarantees better distribution of adhesive and prevents nozzles from clogging due to the presence of impurities. 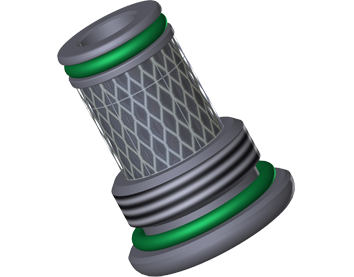 The filter is integrated into the casing and is easily accessible and can be quickly replaced without disassembling the hose.